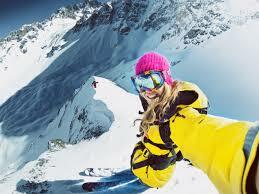 I’m not sure why, but the upper levels of ski industry management is primarily a man’s world. 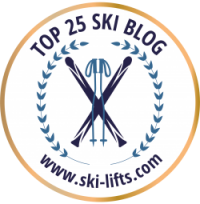 According to statistics from the National Ski Areas Association, there are only about 20 to 30 female general managers nationwide. 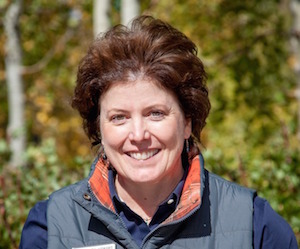 So when I received a press release from Vail Resorts announcing that they’d named Beth Howard as General Manager of Northstar California, it got my attention. What does it take for a woman to rise to the top of the ski industry heap? How’d she get there? 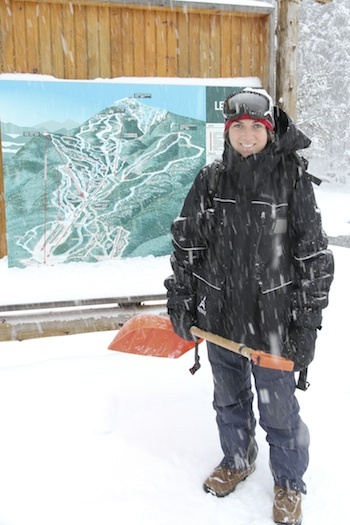 I spoke to Beth last week, the day before Northstar opened for the season. SD: Hi, Beth. Congratulations on your new position. So have you started as General Manger yet? BH: I’m in my third week. SD: And opening day is tomorrow? BH: It is and it’s so exciting! Everyone is out putting together the final touches for our opening weekend. We have some storms coming tonight and over the next few days, so it’s looking like it’s going to be a great opening. SD: So tell me, how’d you get started in the ski industry? BH: I started as a college intern 30 years ago. I was in food nutrition and business at the University of Northern Iowa when I applied to Vail. I didn’t know about the ski industry, but I immediately fell in love with the company, the majesty of the mountains, and the environment I had to work in. I just started to grow with the company; I never imagined I’d be with it for 30 years. SD: What was your internship in? BH: I was chopping vegetables in Beaver Creek, CO, because it was in the field experience that I needed to graduate in my degree program. That’s how I got hooked. Over the years I expanded beyond that and learned more about mountain operations, best practices, and guest service initiatives across the resort. Most recently, I was VP of Mountain Dining for the entire company. That allowed me to frequent all the resorts and get a better perspective of all our operations. SD: How did working in that area prepare you for being the GM? What qualities are required? BH: I look back and I’ve been in a leadership position across my entire career. Even though I was in a very entry level leadership position after my internship, I’ve always been responsible for leading others, leading initiatives and achieving results. Along the way I learned where I needed to hone my skills and strove to push into areas where I didn’t have expertise and become comfortable with that stretch so I could improve those skills. SD: There aren’t too many women in senior positions in the ski industry. Does being a woman present any special challenges for you? BH: I’ve never focused on the fact that I’m a woman. I’ve always paid more attention to my skills and the qualifications I need to do the job; I’d say that’s been the thread throughout my entire career. I haven’t seen being a woman as a special challenge. I also realize that I may be used as role model for other women within and without the company and and I take that very seriously. But I never thought being a woman was a hurdle at all. 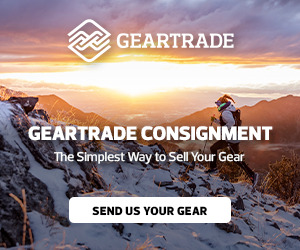 SD: Any advice for women who want to enter the ski industry? BH: If you want to be in the ski industry – if that’s your passion — then absolutely enter into that path. I think the most important thing is realizing what your passion is, as well as your aspirations, and then committing to developing all the skills around that so you can lead a resort one day, if that’s what you choose to do. SD: What do you like best about being in resort management? BH: I’m very energized to be leading a team of people and dealing with the many complexities of a resort to execute a wonderful guest experience. It’s not an easy path. I think seeing all that come together, as well as the wonderful talent around me and the smiles of our guests — that’s what’s energized me and kept me so passionate for so long. SD: What challenges do you think you’ll face as GM? BH: The challenges are similar to what energizes me. There are so many moving parts and complexities involved in running a resort. My focus is making sure we’re all working together as a team and communicating well. We have to stay laser focused on that every single day. We’re already known for our great guest service, but we want to take it to the next level. SD: How do you think Northstar compares to the other Tahoe resorts? BH: I think it’s our guest service that really makes us stand out. We’re committed to delivering on every touch point, from the time spent getting on the bus all the way to the rentals to interaction with our lift operators, the snow surface, our warm S’mores in the afternoon at the skating rink — it all makes us special and differentiates us. SD: Do you have anything new and exciting going on this coming season? BH: We do! I mentioned the S’mores. We call it S’more Time. At 3:30 everyday in the Village, warm S’mores come out on trays and are served to all of our guests. I think that’s a tradition we’re going to continue. We also have two new things up on the mountain. Starting December 19 at 2PM every day we’re going to have a pop-up champagne bar, where our guests can ski in and have a commemorative toast and relax on Adirondack chairs around a fire pit. Then we’ll take it down so everything can be groomed, then put it back up the next day. We’re also introducing something called Mountain Table, where we’ve paired with some of our local wineries. Our executive chef will prepare a five course meal with them on select Fridays throughout the winter. For us, it’s another way for our guests to get up on the mountain and have an evening on-mountain dining experience with great wines and cuisine. 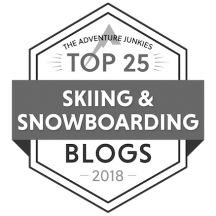 SD: I read that Vail is launching an initiative to get women more involved in skiing and boarding. Will Northstar be participating in that? BH: Absolutely! We’re very excited about it. 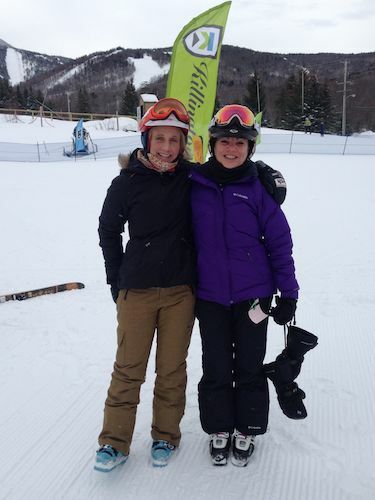 We have a couple new learning options available for women skiers and riders. We have a Women’s Ultimate Four Program, which runs from 10:30 in the morning til 3; that’ll allow them the flexibility to manage all the other things they’re trying to do with the kids, their families, and so on. There’ll be a maximum of four per group, all levels welcome, and they’ll be working with a female instructor. We’re trying to customize programs that would to allow flexibility in the schedule and also give them that wonderful experience up on the mountain. We also have an afternoon beginner program called Ladies First. This goes from 12:30 to 3, and it’ll be offered throughout the season. Again, it allows them greater flexibility with the schedule. We’re hoping this resonates with that group. SD: Do you have a favorite run at Northstar? BH: I love this mountain. I’m not sure I have a favorite one. I really enjoy the backside because of the long, wonderful runs. For a groomed beautiful blue run, Loggers Loop is pretty fun. I think a lot of guests would enjoy that as well. I think after I get this first season under my belt I’ll have a lot more favorites. SD: Do you get a chance to ski very much? BH: Yes. A wonderful part of this job is being out on the mountain a lot. SD: What do you ski on? BH: I ski on K2s. That’s been my ski of choice. I have a couple pairs, and I love them. I’m on all-terrain superstitions right now. SD: Does your family ski? BH: Yes! I have an 11 year old son and a husband of 15 years and they both ski, so we’re a skiing family and it fits right in. SD: And you’re originally from Iowa? BH: Yes. I grew up on a small family farm. SD: Not a lot of skiing there. BH: No. Not a lot of skiing. But I’m making up for it now. PreviousAnd so it begins: My two first days.